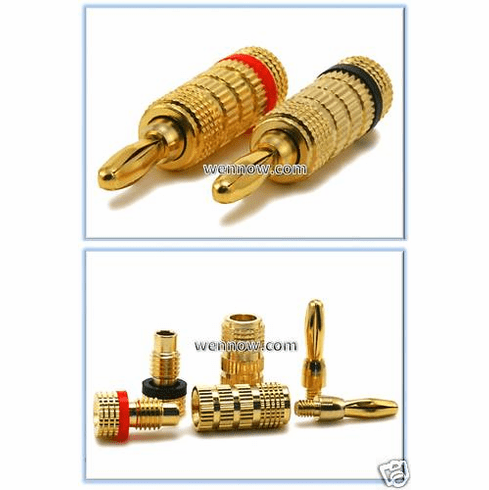 High Quality, Gold plated 4mm speaker connector (banana plug) with the rear cable entry. Banana plugs make speaker installation a breeze. No more worring about stray strands shorting across terminals and overloading your equipment. These sturdy plugs look nice and provide a solid contact.